Sponge Bob Mini Patrick Details: Mini Patrick is a character from Sponge Bob Square Pants cartoon show, he lives in Bikini Bottom with Sponge Bob and his friends. 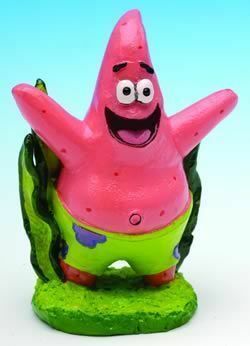 Patrick is a star fish and Sponge Bobs best friend. This is a mini resin aquarium ornament, many customers like to collect the whole set.